Do you know that you can get a Free Carseat Canopy ($49 value)? You can if you use the promo code COVER4BABY (code will automatically deduct its regular price of $49.95!) at CarseatCanopy.com. You just need to cover the $12.95 shipping and handling. Normally, these are sold for $50 each. These carseat canopies are an ideal gift for current or soon to be moms! Each canopy fits all baby car seats and can be machine washed. 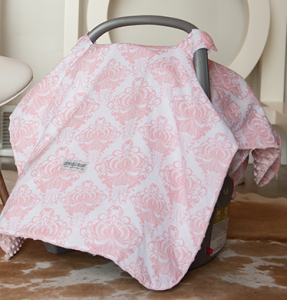 If you’re not familiar with these covers, it’s used to keep your baby out from direct sunlight when she/he’s sleeping in the carseat. Please be advised that $6.95 will added to the final price only if you opted to change the canopy cover embroidery (optional)! If not, the final price will be only $12.95! You might want to check out other related freebies like the Free Nursing Cover ($40 Value) for nursing mothers.